"Entering the school on day one as a 6-year-old, and only one of the few black kids, I was a mix of curious, happy and afraid at the same time. Getting in, I could see the funny looks, the expressions and the fingers being pointed at us, I was none the wiser." 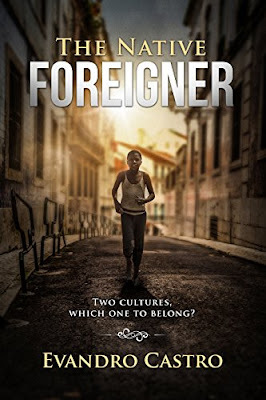 A story of those who are the product of two cultures, a story of belonging, identity and cultural clashes. The story of Evandro, a kid born in Africa, growing up in Europe feeling an alien and adapting to new environments, discrimination, poverty and temptations. A compelling urban, suburbs modern story that could have taken place in any Western city.